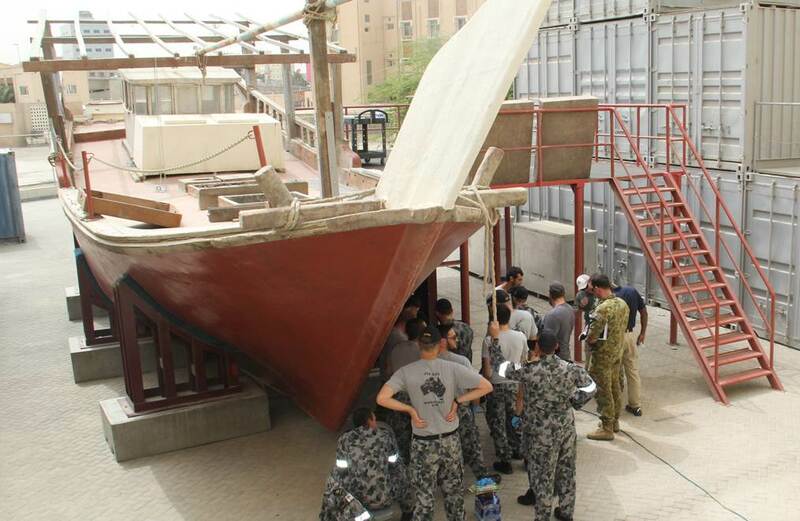 HMAS Newcastle undertakes Boarding Training with NCIS and USCG Based in Bahrain. 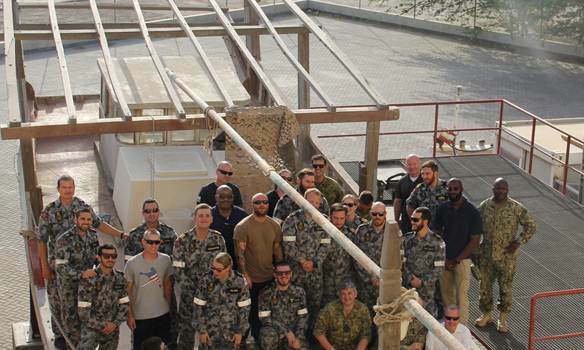 Members of Her Majesty’s Australian Ship (HMAS) Newcastle recently undertook extensive forensic boarding training from the US Coast Guard (USCG) and the Naval Criminal Investigative Service (NCIS) Middle East Field Office at the Combined Maritime Forces (CMF) Headquarters based in Bahrain. CMF is a professional, capable and alert force operating in an apolitical environment conducting a broad spectrum of Maritime Security Operations. It is composed of 30 nations from across the globe, who is dedicated to providing an enduring presence in the region, thus setting the conditions for security and stability in the maritime environment. 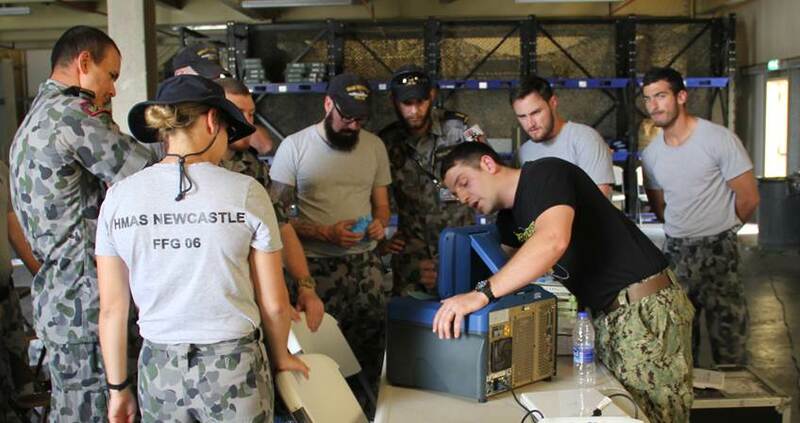 The Newcastle personnel, who will form the ship’s boarding parties now that she has arrived in the Middle East region, were given the opportunity to develop their skills, learn new methodologies and utilise forensic equipment used by one of the world’s most recognised investigative organisations. 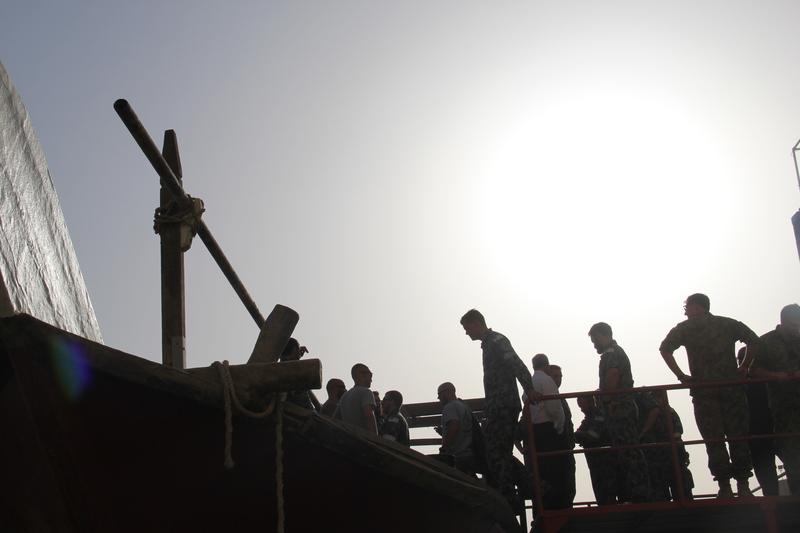 The training was offered by NCIS and the US Coast Guard to familiarise the boarding party teams with the current practices of CMF’s assets in the area. The training to incoming crews has proven invaluable in raising standards and the ability to detect illegal activity at the point of contact. Previous Previous post: U.S. COAST GUARD PROVIDES COUNTER-NARCOTICS AND VBSS WORKUPS FOR COMBINED MARITIME FORCES.